This year’s OSP was another great star party with good imaging every night from Tuesday night to Sunday morning. It reminded me of the great weather we had at OSP back in 2002 or so. In summary OSP was terrific and many thanks to the great OSP team that made it happen. At this OSP my imaging was done with a Nikon D70 DSLR camera, a Nikon Coolpix 990 camera and an Orion StarShoot Deep-Space CCD Color Imaging camera. Tele Vue TV-60 60mm refractor, Orion 80 mmED refractor and Nikon camera lens were used with these cameras. 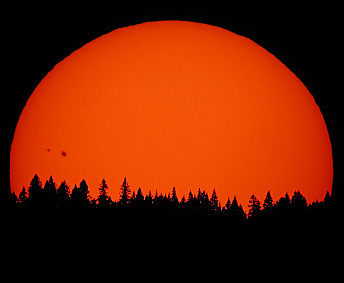 I just bought the Orion Sirius EQ-G mount with the GoTo hand controller four weeks before at the Mt Bachelor Star Party, July 26, 2006. I was looking forward to see how the mount would perform for imaging. Also, the Orion Sirius EQ-G mount is my first GoTo mount. After years of looking, this summer I acquired a used Nikon 300mmEDIF f/2.8 camera lens to be used with the Nikon D70 DSLR camera. And lastly, I was looking forward to using the Orion StarShoot Deep-Space CCD Color Imaging camera for the first time at OSP. As in previous OSPs, Mike Hagen and I arrived late Tuesday afternoon at OSP. The OSP imaging area was more populated on Tuesday then any of the previous years that I have attended. About one third more people were in the imaging area on Tuesday this year. 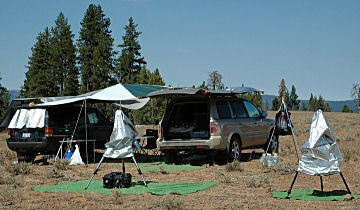 This year Mike Hagen and I tied a low cost sunshade ($14.95) between the roof racks on my Honda Pilot and Mike’s SUV. A middle pole for the sunshade did not work out and it will be replaced by something else next year. The sunshade poles half way between the cars at the edges of the sun shade were tied down to stakes but the stakes were later replaced by the natural growing bushes which did not pull out of the ground by the wind as did the stakes. 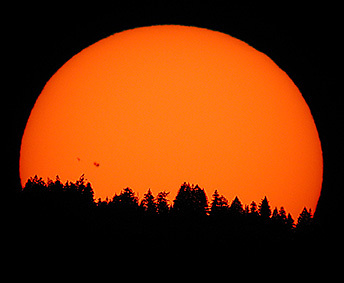 I did easy imaging on Tuesday night because of the 5 hours plus drive from Camas, WA. I took a few sunset images. When it got dark enough I imaged M27, M33, NGC891 and NGC7293 images with Orion StarShoot Deep-Space CCD Color Imaging camera, Tele Vue TV-60 60mm refractor and Orion Sirius EQ-G mount. 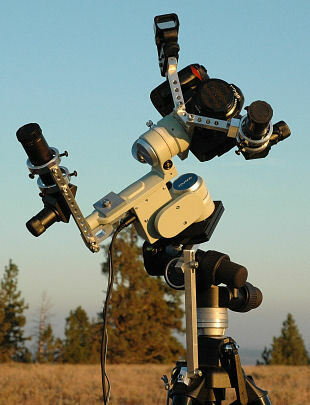 See a photo of the setup on an Orion EQ-3 mount used earlier this year. While Orion StarShoot was busy taking images I set up a Milky Way wide field imaging system with the Nikon D70 DSLR camera with a Nikon manual 28mm f/2 lens at f2.8, Takahashi TG-SPII mount on Bogen Manfrotto 405 geared head and 475B tripod. The Nikon 28mm f/2 lens does not provide acceptable astro imaging unless it is stopped down to f2.8, but at f/2.8 it is a fast and a sharp wide field camera lens that I use often. At 1:39 am morning on August 23 I used the Sky Quality Meter to read the sky brightness at 21.56 to 21.47. My normal OSP pattern is going to sleep in the car at dawn. Get up around lunch time to eat and if possible I will nap from 3:00 pm to dinner. On Wednesday after lunch I took Sun images of sunspot 905 and later after dinner I took sunset images with the Nikon Coolpix 990 camera afocal coupled to the Orion Apex 102mm Maksutov-Cassegrain. and later I made a movie of the sunset. Wednesday night I focused on the big and bright M8, M31, M45 and M42 objects with the Nikon D70 DSLR camera with Nikon manual 300mmEDIF f/2.8 lens on an Orion Sirius EQ-G mount. With the Nikon D70 DSLR I usually take 4 to 8 minute images at ISO 400 to 800. The Orion Sirius EQ-G mount periodic error was too large for these long exposures and I have concluded that I am going to have to guide the mount for one minute or longer exposures at 300 mm for longer focal lengths. This is the first star party for Nikon manual 300mmEDIF f/2.8 lens. It is a keeper with good results When it is wide open at f/2.8. It will join my other 180mmED f/2.8 lens as being capable of astro imaging wide open at f/2.8 with good results. I took more Milky Way wide field images with a longer camera lens with the Nikon D70 DSLR camera with a Nikon manual 50mm f/1.2 lens at f2.8, Takahashi TG-SPII mount on Bogen Manfrotto 405 geared head and 475B tripod. 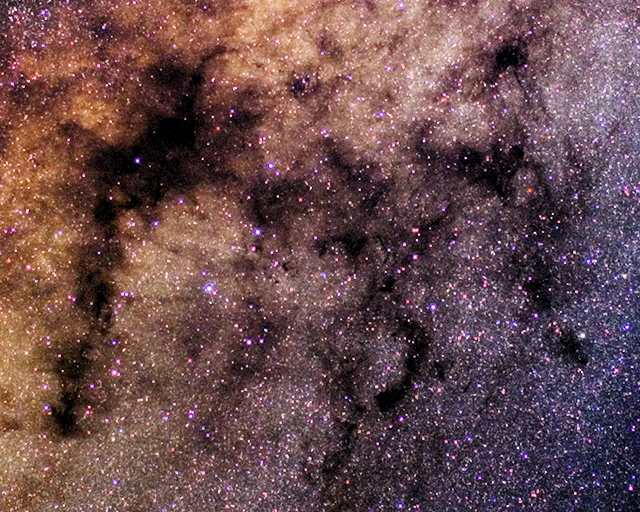 The image at the top of this web page is a cropped image showing the Milky Way Dark Horse. Just like the 28mm lens the Nikon 50mm f/1.2 lens does not provide acceptable astro imaging unless it is stopped down to f2.8. 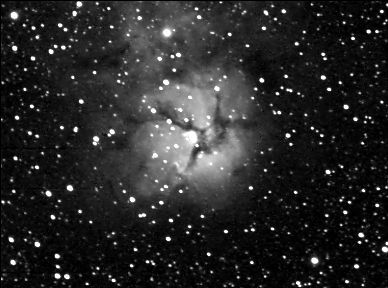 Milky Way Dark Horse, Milky Way M11 to M8, Milky Way M16 to M7 and more to come. At 4:04 am in the morning on August 24 the Sky Quality Meter read 21.72 to 21.60. Late Thursday afternoon I presented Step-by-Step Wide Field Image Processing Techniques presentation and after dinner I took Sunset images with the Nikon Coolpix 990 camera afocal coupled to the Orion Apex 102mm Maksutov-Cassegrain. Click on above Sunset image to go to movie versions. Thursday night I did guided imaging of M8, M20, M21, M16, M17, M18, Veil Nebula, NGC7000 North America Nebula, and M42 Orion Nebula with the Nikon D70 DSLR camera with the Nikon manual 300mmEDIF f/2.8 lens on Orion Sirius mount. Manual guiding was done with an Orion Apex 90mm Maksutov-Cassegrain with Celestron Micro Guide 12.5mm eyepiece which was mounted next to the Nikon D70 camera on the Orion Sirius mount. In the late evening on August 24 the Sky Quality Meter read 21.72 to 21.62. Friday night was going to be a busy night for me and the Orion Sirius EQ-G mount because I was going to take 4x1 minute images of as many Messier objects as I could, a mini Messier marathon. 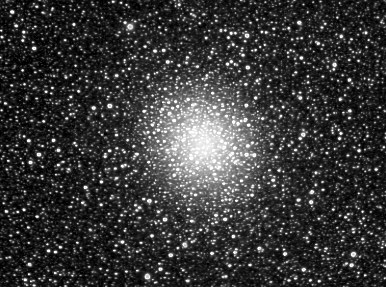 I imaged 58 Messier objects between 9:42 pm evening and the next morning at 5:00 am. M3, M4, M6, M7, M9, M10, M12, M14, M19, M20, M22, M28, M54, M62, M69, M70, M80, M94, M107 and more to come. 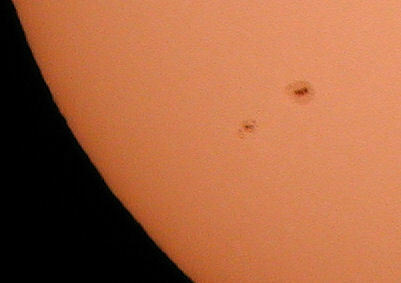 Many objects were imaged very low to the horizon and one object was in the tree line. Not the best way to image them, but it was fun to see them on the laptop and visually using the flip mirror. Messier objects imaging was done with the Orion StarShoot Deep-Space CCD Color Imaging camera, Edmund Optics T-Mount 25mm extension tube (48mm barrel), Baader Planetarium T-2 Quick Changer System (PDF) (T2-06 and T2-07) which I bought at OSP, Vixen flip mirror, Orion 80 mmED refractor and Orion Sirius EQ-G mount. To achieve focus with the for Orion 80 mmED refractor and the Orion StarShoot camera I removed the Vixen flip mirror straight through eyepiece holder on the back of the Vixen flip mirror and used the Edmund Optics T-Mount 25mm extension tube (48mm barrel) directly on the Orion StarShoot camera and a Baader Planetarium T-2 Quick Changer System (T2-06 and T2-07) to attach the other end of the T-Mount 25mm extension tube to the Vixen flip mirror. The Baader Planetarium T-2 Quick Changer allows the rotation of the Orion StarShoot camera to be adjusted when mounted with the Orion StarShoot camera T treads. 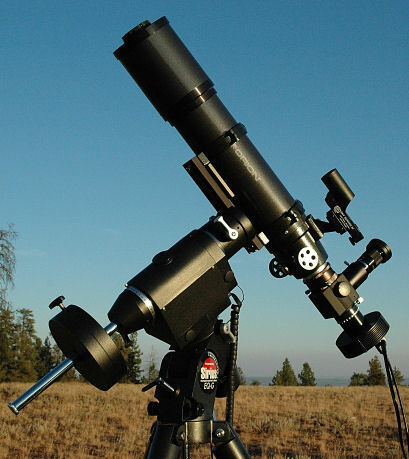 A TeleVue 32mm Plossl was used on the top port of the Vixen flip mirror. 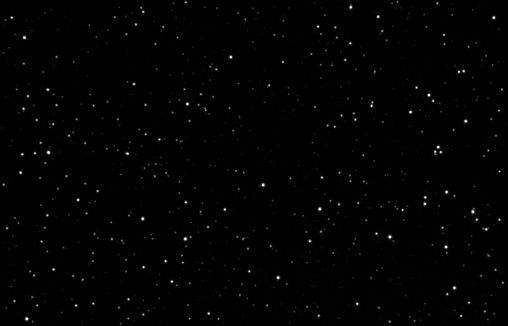 Orion StarShoot Deep-Space CCD Color Imaging camera was configured in monochrome binned 2x2 pixels mode to provide higher sensitivity and to provide a better looking image on the laptop. This configuration works very well as an electronic eyepiece with one minute exposures and with only screen stretching needed to be applied to the image for good visual results. This configuration would work well for evening public star parties and other astronomy out reach programs. The Orion Sirius EQ-G mount GoTo worked very nice with only one object in the 58 Messier objects that was not being in the field of view of the TeleVue 32mm Plossl on the top of the Vixen flip mirror. A lot of times the Messier objects were in the Orion StarShoot field of view. I am happy with the Orion Sirius EQ-G mount and in the future I will be working on guiding it. 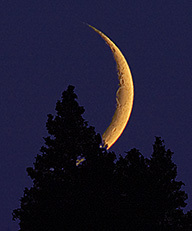 Saturday evening provided a nice sunset image with the Nikon D70 followed by a new moon setting in the trees image with the Nikon D70 on a Orion 80 mmED refractor. Saturday night I did deep color imaging of M20, Helix and M33 with Orion Telescopes and Binoculars StarShoot Deep-Space CCD Color Imaging camera on the Orion 80 mmED refractor and Orion Sirius EQ-G mount. Also on Saturday night, I used up the last of Nikon D70 camera batteries taking wide field images of the Milky Way with Nikon D70 DSLR camera with Nikon manual 50mm f/1.2 lens at f2.8.